If you’ve read this piece, you’ll know that we’ve been working with Airbnb on their first ever UK Insights Report, which revealed the impressive impact of Airbnb on UK tourism. A brilliant tool for demonstrating the vital role that Airbnb plays at a macroeconomic level and in the communities that have embraced it up and down the country. However, as part of the report, we wanted to add an element that would bring the Airbnb story to life for those who stay in the properties. 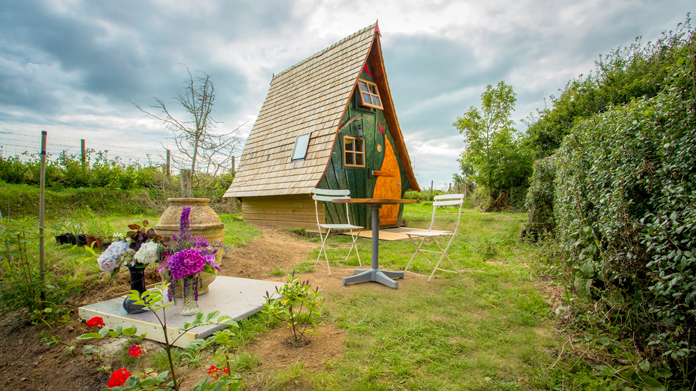 Luckily for us, Airbnb has some amazing UK properties you can book for when an ordinary bedroom just won’t cut it (think treehouses, castles, windmills, yurts or boats) and they’re pretty damn popular. We thought that everyone deserved to know about all the awesome places that exist right on their doorstep. So we worked with Airbnb to reveal the “Top 10 Most Wish Listed” properties in the UK, Scotland, Wales and Northern Ireland: to inject a little more wanderlust into people’s lives and give an awesome way of showing off the sheer range of amazing spaces that travellers can access on the platform. So, armed with a package of lovely images and statistics with a cracking story behind it all, we secured strong national, consumer and regional pieces by the bucket load. Just some of our favourites include the Daily Mail, Evening Standard, Cosmopolian, Hello, Stylist, The Scotsman and Country Living.